The Collectors Purchase Program is unique to Pastel Society of America. 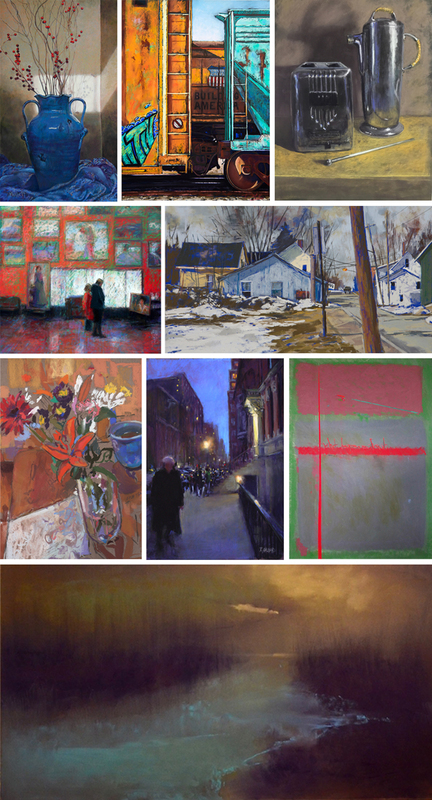 When artists submit their paintings for the Annual Exhibition, they may choose to participate in the Collectors Purchase Program with works priced at $1,000 and above. If an artist’s painting is selected by a collector, she receives a flat fee of $1,000. Collectors agree to donate $1,000 in advance for artworks of their choice among those designated. Both artists and collectors benefit. PSA asks no commission from the artists; collectors may be able to purchase paintings often priced higher than $1,000. The 2018 Collectors Purchase Program bought the works of Lyn Asselta, Sandra Burshell, Roberta Condon, Adrian Giuliani, Ray Hassard, Cristine Kossow, Maryann Mullett, Renee Mullis, and Anna Wainright. PSA actively seeks new collectors to join the program. If you are interested in becoming a collector or would like more information, contact Arlene Thek at artsee@optonline.net.